Franklin Matters: What drives the tax rate? How stable is our budgeting process? What drives the tax rate? 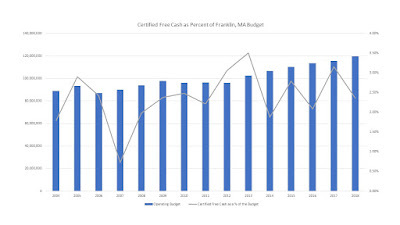 How stable is our budgeting process? The tax rate will be voted on during Wednesday's Town Council meeting. It is expected to be set at 14.66/thousand, an increase of .01 over the tax rate for FY 2018 (14.65). 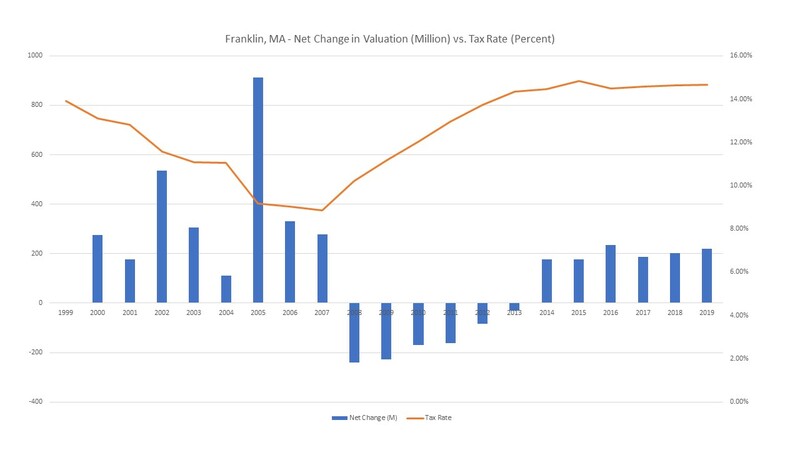 The tax rate increase is minor due to the increase in our overall property valuation and new growth. A larger pie is available to divide the levy by. When valuations go up, the rate flattens. It can also go down as shown in the 2000-2007 years. We are still in the recovery phase from the great recession that started in 2008. 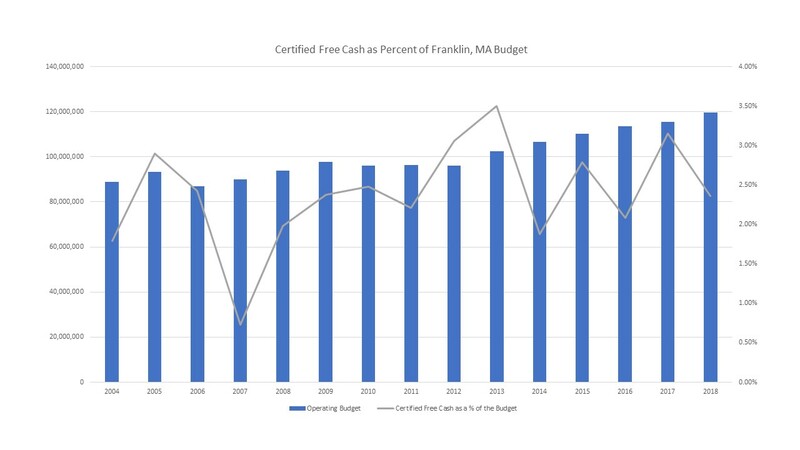 How stable is our budgeting process can be shown in the slight variation of our free cash as a percent of total budget. Free cash is neither free nor cash. It arises from two budget factors: (1) when revenues to the town exceed that forecast and (2) when expenses budgeted are less than forecast. Both of these amounts add up to what is called 'free cash'.